Education has witnessed significant shifts throughout the 20th century from “separate but equal” to “separate but equal has no place.” During this period, the nation’s educational struggle to truly meet the needs of every child regardless of social economic status has been in constant tension. The results? The achievement gap between the rich and poor has increased so much that state standardized test scores have widened by an estimated 40%, high school drop out rates have tripled, and high school graduates are twice as likely to not attend college among urban schools. Since 2002, Community Technical Assistance, Inc. (CTA) has been actively working within poor communities to aid students in overcoming these obstacles and provide a safe learning environment for them to achieve high academic and performance success. We focus on our very young students in grades K-5, middle aged students in grades 6-8, and vibrant teenagers in grades 9-12. As part of our strategy, we employ 21st Century learning methods and differentiated instructions as part of our extensive research and curriculum development to reach several types of learners. 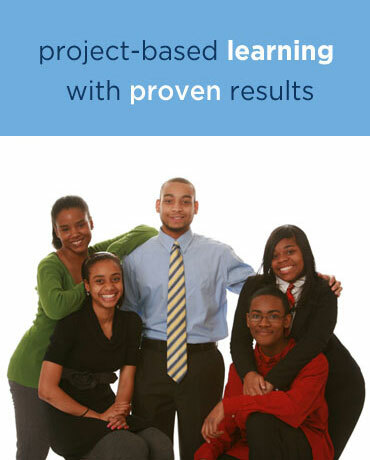 Project-based learning combined with technological engagement is critical in the advancement of our students’ 21st Century critical thinking, problem solving and effective communication skills.